The triumphant Munster team with their Captain, David Wallace. 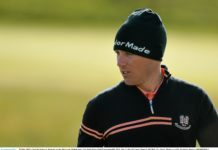 For the second year in a row, David Wallace led his Munster team of 32 golfers to glory in the Algarve Golf Challenge beating a gallant Leinster side of 32, captained by Malcolm O’Kelly. 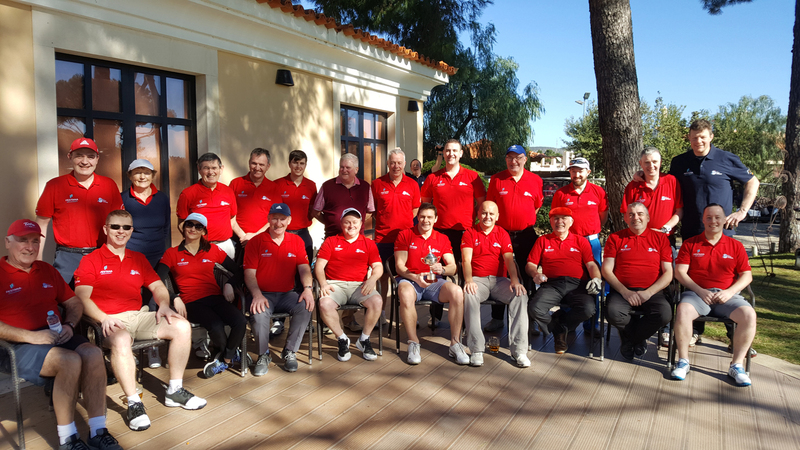 The annual tournament, which took place last weekend at the Pestana Vila Golf & Spa Resort in Vilamoura, is hosted by Limerick-based company GolfVoyager.com. After two days of play, Munster coasted to victory on a final score line of 23-9. 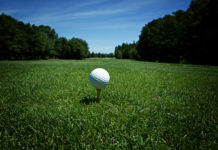 The four-ball event which runs in conjunction with the main event was a much closer affair and came down to a sudden death playoff for the second year in a row. 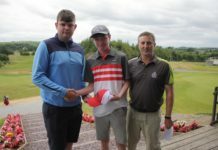 Last year’s winners Adrian Kearney & Paul Coote from Woodstock GC in Ennis, who won the dramatic playoff in 2017, came from 9 points behind on day one to set the target in the club house on 78 points. This was matched by Mark Ponsonby and Chris Nee who followed their fantastic 46 points on day one with 32 points on day 2. Runners up Leinster, led by their Captain, Malcolm O’Kelly, get to hold the winner’s Cup, momentarily. With light fading quickly both pairs headed to the 100m marker on the 18th fairway for a sudden death playoff. With a large gallery looking on over the 18th green, the experienced Kearney & Coote came through by 1 shot. 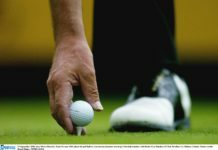 Kearney, Ponsonby and Nee all made bogey but Coote fired his approach to 8 feet and rolled his putt stone dead to retain the four-ball title for the Clare men. 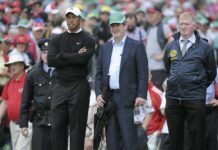 Fintan Ward, director of operations at GolfVoyager.com, presented the Munster captain David Wallace with the ‘Algarve Challenge Cup’ on behalf of a jubilant Munster team. The 1st and 2nd placed teams in the fourball event were presented by Pauline Kwasniak, events partner at GolfVoyager.com with golfing holidays to Pestana Resorts in the Algarve with 3rd to 10th placed teams receiving vouchers for Druids Glen, Enniscrone, County Louth, The K Club, Dunmurry Springs, Rathsallagh, Limerick and Shannon Golf Clubs. 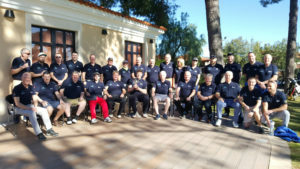 Enquiries are now been taken for the 2019 Algarve Golf Challenge, which will once again take place at Pestana Vila Sol in Vilamoura from 25th to 28th Jan 2019, and is expected to be booked out well in advance, as this annual event grows in popularity.